No matter their size, industry, or location, your business needs a robust online presence. Even companies with a reliable product or service can’t survive without having a strategy and system to get found online. Since many small business owners struggle to fill all the roles their company demands, marketing is moved to the back of the “to-do” list, and this can have a long-term and costly impact on the company’s success. The way your customer’s research and make buying decisions have changed a lot over the past 10 years, and today your customers rely on information from websites, blogs, and social media. Are you optimizing your brand’s identity on the most important channels, or are you letting your competition push you out of the market? Your competitors are actively trying to put you out of business. One way they are doing this is by dominating the online landscape, so your brand gets pushed out of sight. To help you regain or maintain your position in the marketplace is to take actions to ensure your website is found by search engines and drives qualified leads to your site. This approach is called Search Engine Optimization (SEO), which is a holistic approach to online marketing. SEO marketing is pretty simple- it is all about optimizing technical components and content on your site to rank higher in search engines. Yet, SEO is also tricky because how you achieve this goal requires an intimate understanding of the technical aspects of your website and how to produce and improve content to meet the needs of your customers. Hiring an in-house SEO team can be expensive, and once business owners see the financial investment needed for full-time employees they either run the other way or consider taking on SEO work themselves. Both of these options are bad for your business and could result in long-term and costly mistakes. Instead of settling for poor online visibility or investing in a full-time SEO team, you can look at hiring an SEO consultant to work with your teams to deliver results at a fraction of the cost. We have had the opportunity to provide SEO consulting work with some terrific small and large companies over the years. Each client we partner with is a new chance to learn more about different industries and apply our knowledge about SEO marketing and other online marketing strategies to drive results. We also work with many Orlando-based companies, and we are proud to offer transparent Orlando SEO consulting services for our community. But one thing we noticed is that the SEO industry is shady. Think one level under Darth Maul shady… there is a lot of misinformation and promises out there offered by companies who don’t care about you or your company’s long-term success. Well, we wanted to do our part in helping to bring light to the shady practices and protect your company from the costly side effects that can come from hiring a wrong SEO consultant. Here are the top 10 questions you should ask before hiring an SEO consultant. 1. What Types Of SEO Work Do You Offer? SEO marketing is a holistic approach to online marketing. This digital marketing strategy is the center point for many disciplines like Content Marketing, coding, keyword research, and User Experience. If you have not already received information about the different marketing services, a prospective SEO consultant offers then you should sure to ask that at some point. You should expect SEO consulting services that include technical SEO, content production, and White Hat link building efforts. Technical SEO focuses on how search engines read and understand your website from a purely technical standpoint. 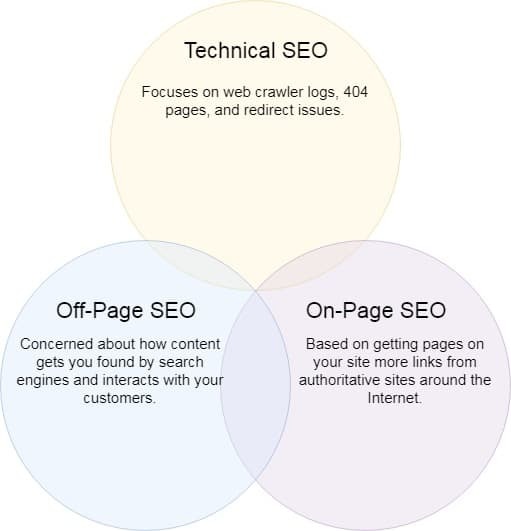 This part of an SEO strategy includes web crawler logs, 404 pages, and redirect issues. On-Page SEO is concerned about the content on your site and how that content gets you found in search engines and interacts with your customers. The best SEO consultants know how to research and produce content that gets indexed by search engines and drives qualified traffic to your site with engaging content for your readers. Off-Page SEO is based on getting pages on your site more links from authoritative sites around the Internet. The best SEO consulting services will provide a solid plan to help your site secure natural connections from different places. 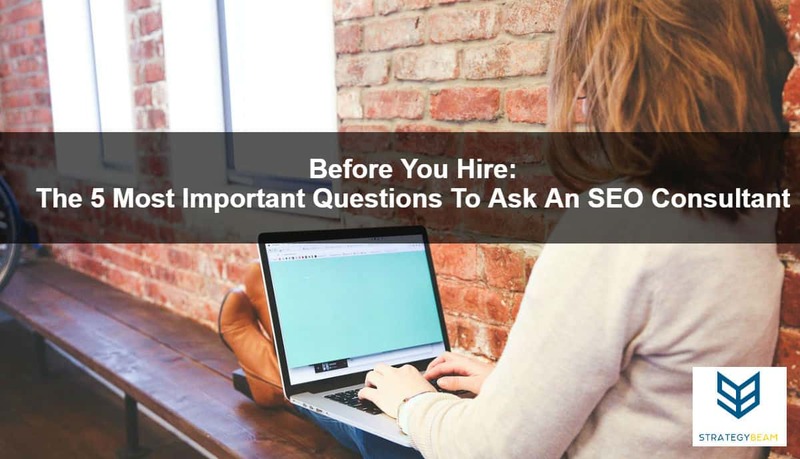 During your interview, you should also ask a prospective SEO consultant how their work will tie into other marketing efforts you currently have. SEO is no longer separate from marketing because a strong SEO strategy will take your customers and search engines into consideration. Because of this, SEO consultants need to understand different tactics of digital marketing like PPC marketing, blogging, social media marketing, and email marketing. While your SEO consultant may not work directly with each channel, they should have a general understanding of how each tactic will work with other marketing initiatives that you have in the works. You should also look for hints that your SEO consultant has experience adapting SEO strategies and tactics to your industry. The best SEO consultants will know how to apply SEO components, and approaches to your production and they should be able to address your question. 2. Are You Experienced At Improving Local Search Results? Most SEO campaigns are focused on improving specific keywords on specific pages on a national level. Any SEO consultant worth their weight in feathers will know the necessary requirements to help boost different ranking factors to get you found for competitive and relevant keywords. However, many SEO consultants do not understand how to boost your online presence for Local SEO. While it is great to get your pages and keywords ranking on a national level, it is vital to get your business found by local search. Local SEO is less understood than traditional SEO, and in many respects, local SEO is like the Wild West of the SEO world. SEO consulting professions should understand how to improve On-Page SEO factors, but many do not know how to improve rankings in Google Maps. Create & optimize pages focused on local keywords and product offerings. Add Schema to your site to help your pages rank in local search results. Create local citations with consistent NAP (Name, Address, and Phone Number). White Hat outreach to secure local links with relevant anchor text from authoritative domains. Setup, optimize, and maintain your Google My Business listing. These are just a few items that you should expect to hear from a competent SEO consultant if you need Local SEO services. 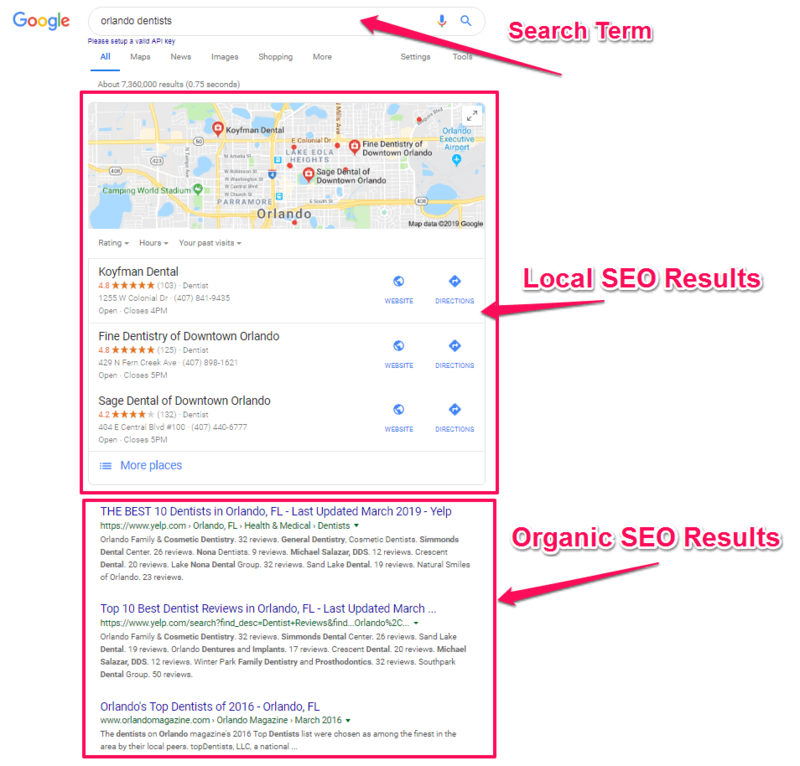 Local SEO is an entirely different world from traditional SEO marketing, so if you want your business to rank in local search then you need an SEO consultant who knows how Local SEO works and how to boost your online rankings. If your consultant does not touch on these points, then you should think about whether you should choose another SEO consulting service. 3. How Will You Improve My Search Engine Rankings? Since SEO draws from many disciplines (#1 above) and requires input from some tactics, you should not expect to get results from your SEO marketing efforts without a solid SEO strategy. Randomly building pages and targeting keywords across your site will only result in a lot of wasted time and money. You will never see a significant increase in traffic or sales without first planning the SEO effort. This means that all good SEOs have a process they follow when executing a profitable SEO marketing strategy. StrategyBeam is a leading Orlando SEO consultant because we provide end-to-end solutions for companies. We start with an on-site technical SEO audit, then produce a clear SEO strategy document that lays out keywords and content for each page to focus on. This methodology is the backbone for any good SEO strategy, and you should expect a prospective SEO consultant to provide you with a detailed overview of what keywords will rank for what pages. Also, when considering an SEO consultant, you should ask about Off-Page SEO like backlink building. Search engine algorithms rely heavily on backlinks to understand and rank content, and your SEO consultant should be able to explain to you their method to find, qualify, and secure quality links. Low-quality backlinks will hurt your SEO and could cause massive headaches in the future. These are the type of links that can be bought from Fiverr and other online marketplaces. Perform an SEO audit and deliver a robust SEO strategy document to help guide present and future SEO marketing efforts. Once the audit and strategy doc are completed, the SEO consulting firm will lay out a timeline to achieve On-Page SEO optimizations. Use White Hat practices to manually scrape, qualify, and reach out to relevant blogs that meet a specific quality level. Provide monthly reports on work done, backlinks acquired, etc. Getting your pages and keywords ranking in search engine is the Gold Standard of any SEO consultant. Be sure to ask the right questions and note if your prospective consultant has the knowledge needed to offer the right SEO consultant services. 4. Will You Share With Me All Changes You Make To My Site? You own your business, and you deserve to know all the changes that are made on your site. Not only is this transparency necessary to make sure you have an understanding of what your company is doing, but it is also needed to keep an SEO consultant company honest. Since SEO marketing has a broad scope with interconnected factors, it is too easy for shady SEO consultants to do shady SEO things that get short-term results. Over time, however, your business will start to see diminishing returns and could fall prey to a Google penalty. The best SEO consulting companies will keep you updated on changes to your site like content produced, code tweaked, and other adjustments. While progress may go slower with these updates, it is vital that you know precisely what might have caused negative trends on your site. The bottom line is that your SEO consulting company needs to track changes made on your site and provide those updates to you each month. Not only is this a way to protect your company’s online presence, but it is also the best way to keep a professional SEO consultant honest. Provide regular notes about changes made on your sites like Schema, coding, and server-side adjustments. Pages that were updated, merged, or deleted. A detailed report of links acquired throughout the past month, with relevant metrics, URLs, keyword, and landing page. Monthly SEO report showing organic SEO performance. This will provide context to the work done and results that you are seeing. SEO consultant services should always provide detailed notes on work done regularly. This helps you understand where your business is going and how your investment in an SEO consultant is paying off. Be sure to keep an ear out for the above points and expect full transparency at each stage of your SEO marketing strategy. There is no SEO consultant on the face of the planet who knows how Google or other search engines work. Professional SEO consultants rely on their knowledge and experience, and they need industry tools to deliver the best results for SEO marketing strategies. When looking for the best SEO consultant services you should ask the prospect about the tools and process they use when building content and monitoring results. Not all devices are equal, and some devices could be a signal that your SEO consultant is up to suspicious activities. Ahrefs: This is a great SEO marketing tool for keyword research and content research. Ahrefs is a White Hat SEO marketing tools used by most of the best SEO consultants to research, produce, and track SEO marketing efforts. Screaming Frog: This tool allows SEO consulting services to crawl large sites quickly to get a view of a variety of technical issues on the site. Crawling your website is essential to produce a thorough SEO audit (#1 above), and your SEO consulting professional should mention that they know how to use this tool so you can get the best review of your site. Link Building Tools: Tools like Scrapebox, NinjaOutreach, ShoutBox, Hunter.io, and other tools are vital when building backlinks with White Hat outreach methods. Reporting Tools: Since your SEO consultant will provide regular reports (#3 above), you should know that their services provide monthly reports. You should expect to hear tools like NinjaCat, Data Studio, or other tools to deliver the best metrics and reports. If you hear an SEO consultant mention tools like Xrunner, SE Nuke, or Bookmarking Demon, then you should be very cautious. In fact, if you hear SEO consulting services mention these tools, then you should run the other direction! SEO marketing is a long-term investment that requires a significant investment on your part. Not only are you building your online presence, but your SEO marketing strategy should also point your business in the direction to drive more qualified leads and boost your sales. You should not expect results overnight before you see results overnight, and it will take several months before you see significant gains for your efforts. This is why you need to hire the best SEO consulting services because shady SEO firms will get paid and then dump your account once their shady efforts yield negative results. Be sure to ask the above 5 questions before hiring an SEO consultant to ensure your business is safe from the downfall of poor SEO strategies!